One of the most frequent questions I see on blogs, this one and others too, is how average fans can help the Vikings stadium efforts. Now, a long time ago I said that I’d prefer not to opine too much on this subject as I am no longer a Minnesota resident, and don’t want to tell other people how to spend their money… especially in hard times like this. I do think that sports is an important form of economic and cultural stimulus, and that Minnesota sees definitive benefits from having the Vikings in their State. I also see how it is hard for those elected to office to justify the spending of one billion dollars to build a house for a game. I have my opinions on the matter, but will leave it be for now. However, I was recently contacted by Minnesota Momentum and they asked me to post a link to their page. 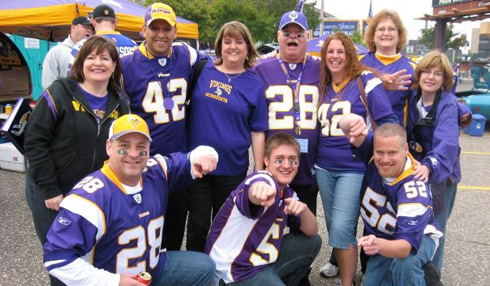 They are a grassroots campaign that aims to generate support for a new Vikings stadium. If you are interested in helping the cause then click here to see the page. They will tell you what you can do to help. Also, you can follow them on Twitter by clicking here. Once they have 1,000 followers on Twitter then they will be giving away memorabilia and Vikings merchandise. 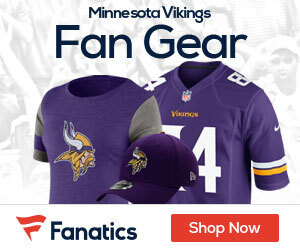 So again if you support the Vikings stadium efforts, stop by their site and see what you can do to help. And out of fairness, if you do not support the Vikings stadium efforts then you can always… umm… well… write a letter to someone? Or perhaps start a grassroots coalition called something like Minnesota L.A.cks Momentum. Just sayin’. is there a letter or sample letter I can use to sent to our local elected officials showing support for the stadium ? If you go to Minnesota Mementum by clicking the link in the story or on the blog roll to the right, then they should have all the instructions on how to do what.